Breakfast is without a doubt my family’s favorite meal. We love lazy weekend mornings in our PJ’s and cooking up something yummy and homemade that gets the whole house smelling sweet. 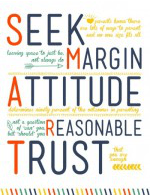 These occasions are becoming increasingly rare as our kids get older and our weekend calendars fill-up. So, when we do get one of these rare mornings together we take advantage of it. 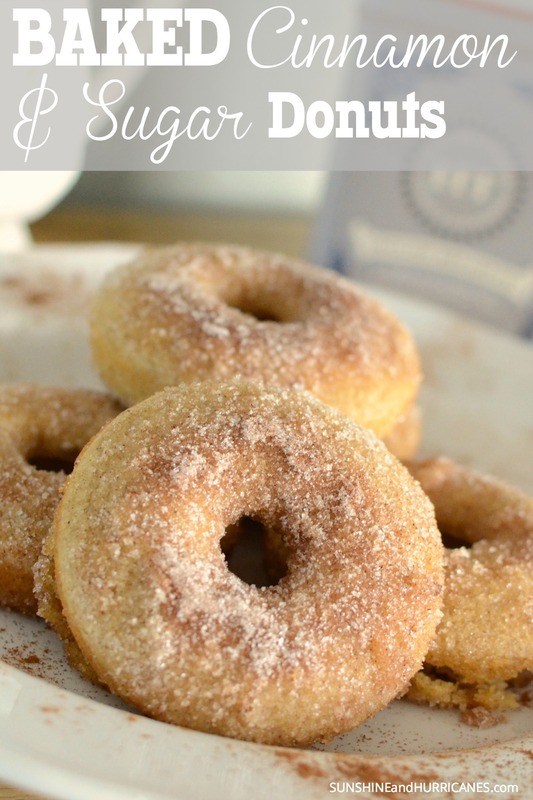 Probably the most requested item from my kiddos on these occasions is baked donuts and specifically this cinnamon sugar baked donut recipe. with butter or vegetable oil. In a mixing bowl, combine the flour, salt, and baking powder. In a second bowl, cream together the butter, coconut oil and the sugar and then mix in the milk, egg and vanilla. Add half the flour mixture in and stir just still combined, then add in the rest of the flour mixture and stir again just until combined. 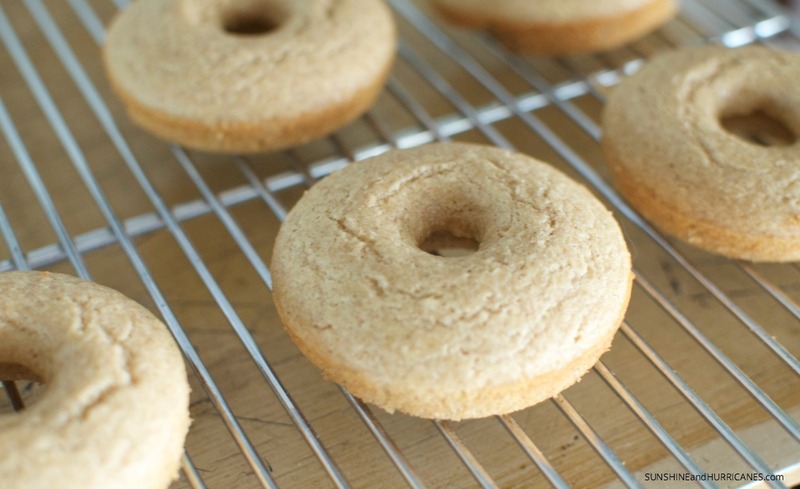 You don’t want to over-stir or you may end up with chewy donuts. If you have a piping bag for frosting you are welcome to use that for this next step, but we just use a ziploc bag. Scoop the batter into the ziploc and then cut a small portion of one of the corners off. Squeeze the batter through the hole and into the donut pan so that it is about 1/2 full. Bake the donuts for 10-12 minutes, using a toothpick to test for doneness. Move the donuts to a cooling rack so you can prepare the next batch. While the donuts are cooking, prepare your cinnamon and sugar mixture by combining the cup of sugar with the teaspoon of cinnamon. In a separate bowl, big enough to dip a donut into, melt the 1/2 cup of butter. Before the donuts cool too much, dip the top of each into the butter and then the cinnamon-sugar mixture. Serve ASAP so they are still warm and gooey. While they are best fresh out of the oven, they will store for a day or two in an air-tight container. Warm them up in the microwave for 20-30 seconds and they still are darn good with a hot cup of coffee. Lightly grease a Donut Pan with butter or vegetable oil. In a mixing bowl, combine the flour, salt, and baking powder. In a second bowl, cream together the butter, coconut oil and the sugar and then mix in the milk and vanilla. Add half the flour mixture in and stir, then add in the rest of the flour mixture and stir again just until combined. Scoop the batter into the ziploc and then cut a small portion of one of the corners off. Squeeze the batter through the hole and into the donut pan so that it is about ½ full. Bake the donuts for 10-12 minutes. Move the donuts to a cooling rack. 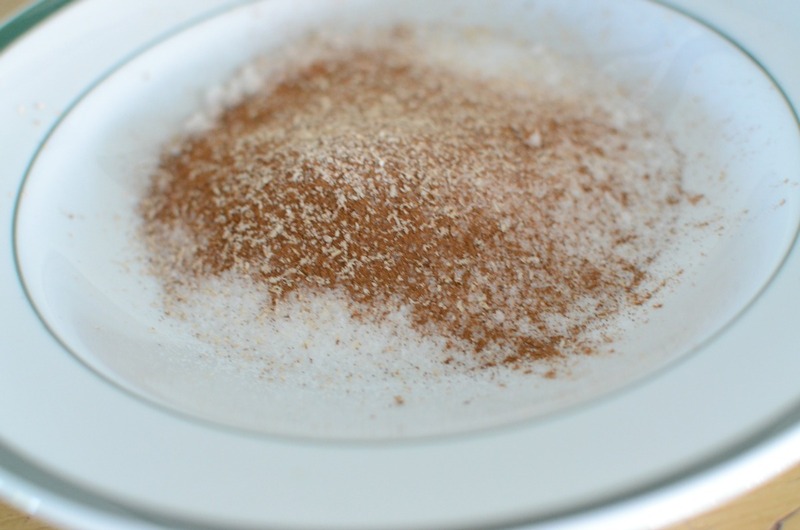 Prepare the cinnamon and sugar mixture by combining the cup of sugar with the teaspoon of cinnamon. In a separate bowl, big enough to dip a donut into, melt the ½ cup of butter. Before the donuts cool, dip the top of each into the butter and then the cinnamon-sugar mixture. Serve ASAP. 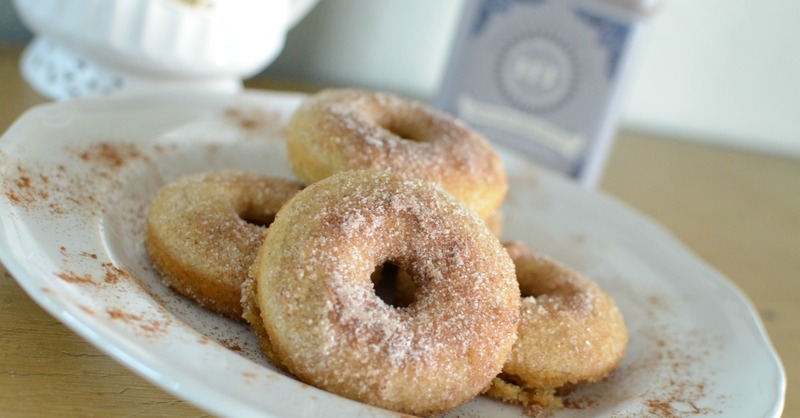 Do you have any weekend family favorite breakfasts like our easy baked donut recipe? A lot easier than I thought. It was super easy to make and it tasted delicious. it is the excellent recipe !